Reading is undoubtedly one of the most glorious pastimes ever devised by man. The feeling of having a book in your hand and reading it is nothing less than having a friend. 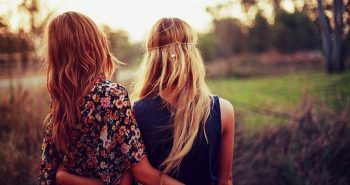 I tend to carry a novel with me wherever I go; you never get bored and you always have a friend with you. You’re bound to have a bookshelf if you’re a reader. And you’ll know what I’m talking about. There is a certain amount of inexplicable satisfaction that comes with organizing and reorganizing your bookshelf. 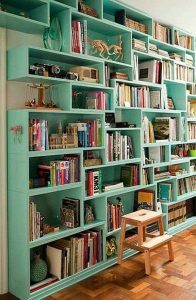 You carefully plan the arrangement, reorganize your bookshelf, step back, and admire the beauty that you’re the proud owner of. It’s nothing less than a treasure for you, and you cherish it with all your heart. Every now and then, you find yourself standing in front of it, and admire its beauty; which fills your heart with pride and happiness. 9. The smell of Books! You need to stay away from people who think you’re weird for loving the smell of books and raving about it. The smell of books is divine, to say the least. I wonder why they still haven’t bottled the fragrance of books and started selling it! Every book has a fragrance of its own. Brand new books with crisp white pages or old, worn out books with yellowing pages – you can distinguish them with their fragrance itself. Your reading ritual is incomplete if you do not take in the smell of the pages and admire it for a minute or two before you begin reading. 8. You have a thing for Bookmarks. Bookmarks are an integral part of reading. I am not a fan of dog-eared book pages and always prefer bookmarks instead. My reading sojourn is incomplete without bookmarks. A good bookmark is as important as a good book. 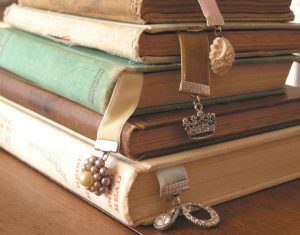 Believe it or not, people do invest time in buying a good bookmark or making one for themselves. Bookmarks make reading more interesting. I’m picky about my bookmarks and the one that I’m currently using says – “Go away! I’m reading”; which comes in really handy when I’m reading in public places. The struggle is real. Well, not really a struggle though. 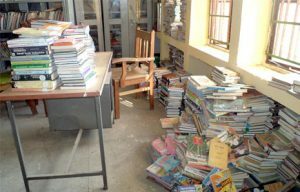 When you’re an avid reader, you cannot stick to reading just one book. 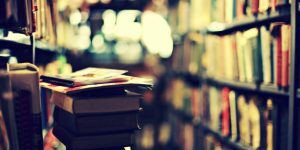 Your curiosity drives you to pick up more titles until you realize that you’re halfway through too many books. And when you read, you know that you don’t just read books, you climb and live in the world in the books, a different world altogether. And then getting back to the real world becomes a task. For a reader, no task is more important than completing the book(s). I have infinite number of books waiting to be read, but my to-read list keeps on growing and it’s never going to end. One lifetime will be short for all the books that I want to read. And I know all my fellow book lovers would empathize with me; we’re in this together. We get hooked to a series, to a particular author’s works, to stories, to fictional characters and what not. What makes readers look forward to reading is the fact that they’ll get to live in a fantasy world for some time. Reading offers a beautiful escape. 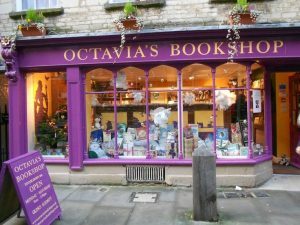 Readers in a bookshop are just like little children left in a candy shop; where everything is attractive to them and they want to carry everything home. Bookstores are pretty and also spaces where you can sit and read and find more people who share common interests. Bookstores also function as spaces where thinkers like to hang out. Bookstores are places where the intellect meets the imagination. 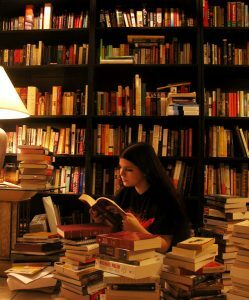 There is an adventure that lies in the simple activity of strolling among bookshelves, admiring all the beauty that adores the shelves. Whenever someone argues that the movie was better than the book, be assured of the fact that they haven’t read the book in all probability. Movies, though meticulously made, miss out on a lot of detail that is contained in the book. There is a certain way in which you imagine the characters to be, the visual imagery plays in your head while you read. Movies often leave of minor characters or dialogues or scenes which saps the story of its essence. On the other hand, when you read a book, you can connect better with the emotions of the characters and the storyline in general. 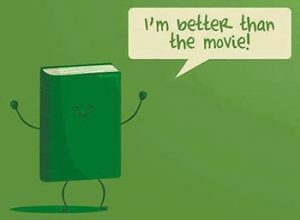 The book is always better. Yes! Fictional characters are to blame for our unreasonably high expectations from people around us. Fictional characters set a high standard; qualities that we look in our loved ones. 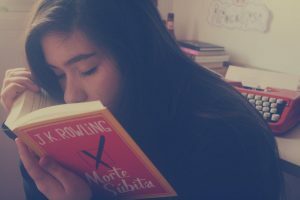 The book that hooked me to reading was Harry Potter – the characters of which are enigmatic and unforgettable. (My absolute favorites being Hagrid and Dumbledore). It is the characters of a story which make the reading experience remarkable. 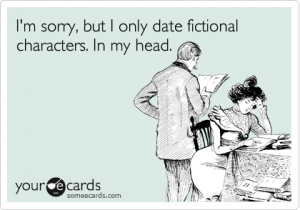 Readers often get obsessed over fictional characters which isn’t always favorable. Nothing compares to the feel of having a paperback in your hand, smelling it now and then, turning its pages and bookmarking it where you took a break while reading; certainly not a kindle. 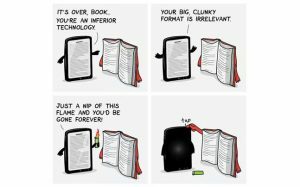 Kindles are certainly great technology that allow you to overcome the problem of shortage of space, but the feel, the touch, the fragrance of having a book in your hand is what remains missing.